Pain. It can be sudden (like hitting your thumb with a hammer) or it can sneak up on you and exist in the background of your life for days, and sometimes years. 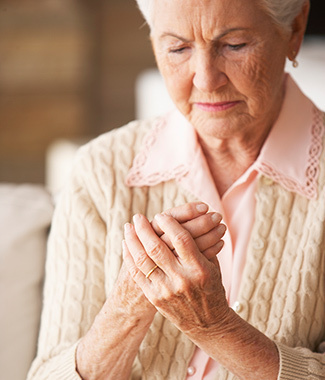 Chronic pain is different for everyone and so are its causes. Perhaps your chronic pain stems from an injury, or a medical treatment. Perhaps that creaky feeling means you’re getting older. Maybe your pain is triggered by mundane decisions that you make each day such as using your smartphone, sitting too long at a desk or wearing flip flops. No matter the cause, there are often things you can do to reduce your chronic pain or eliminate it entirely. Most of us will see rising healthcare costs in 2016. Owens understands that many of our customers are on fixed incomes. 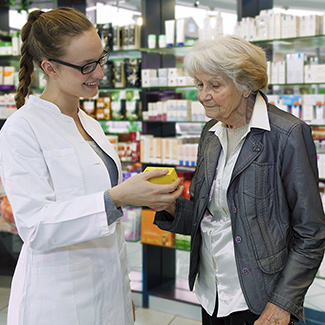 Because of this, we’ve created a Preferred Customer Card, designed to help customers substantially save on prescriptions, over the counter items, and medical equipment. The card is free and easy to obtain. 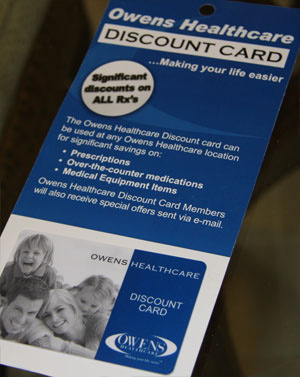 Simply call or come in to your local Owens Healthcare Pharmacy, or call 1-800-MYOWENS (1-800-696-9367) and ask to sign up for the Owens Healthcare Preferred Customer Card. It’s open enrollment season. While some of us are considering new Medicare prescription plan options, others are choosing new healthcare plans at work, or through Covered California. 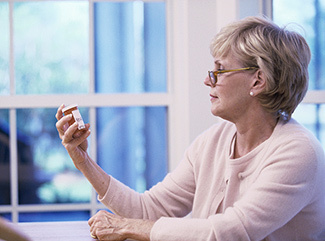 Managing your healthcare options can be a challenge, but managing your prescriptions doesn’t have to be. While you’re evaluating your options this season, consider simplifying your prescription refills in 2016 and saving money while you’re at it. 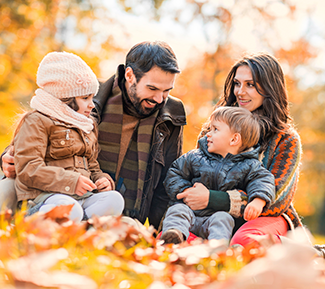 It’s autumn, which means that it’s time to get vaccinated against this year’s influenza virus. Each year, influenza (commonly known as “the Flu”) affects 5% – 20% of Americans. The Flu is spread via tiny airborne droplets that are generated by coughs or sneezes. People who touch surfaces or objects that have the Flu virus on them and then touch their mouth, eyes or nose can also be infected. September was National Emergency Preparedness Month. While this health observance occurs every year, recent events such as the fires that have rocked Northern California in 2015 and last year’s Napa earthquake give this observance special significance for a lot of communities.